Today morning I woke up with a notification from VSCO. It read, “Your image has been published to VSCO collection“. I was happy. It made my morning. But this is not the first time my image has been selected by VSCO. This is the third time my image was selected for the VSCO collection. 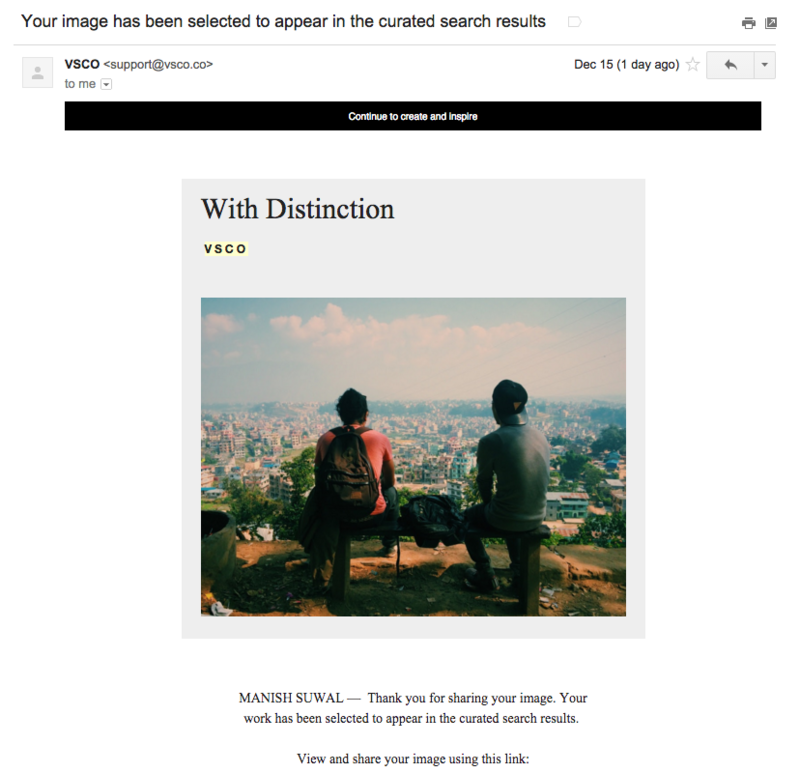 I have received other e-mails from VSCO stating that my image was posted to show up in curated search results. I’m not sure exactly what that is, but I think it’s where people find my image if they search for something. I guess they add a keyword for my image so that people can find it. For example, if I post a photo of a bridge, they’ll probably make it available for people when they search ‘Bridge’ on the VSCO app or website. 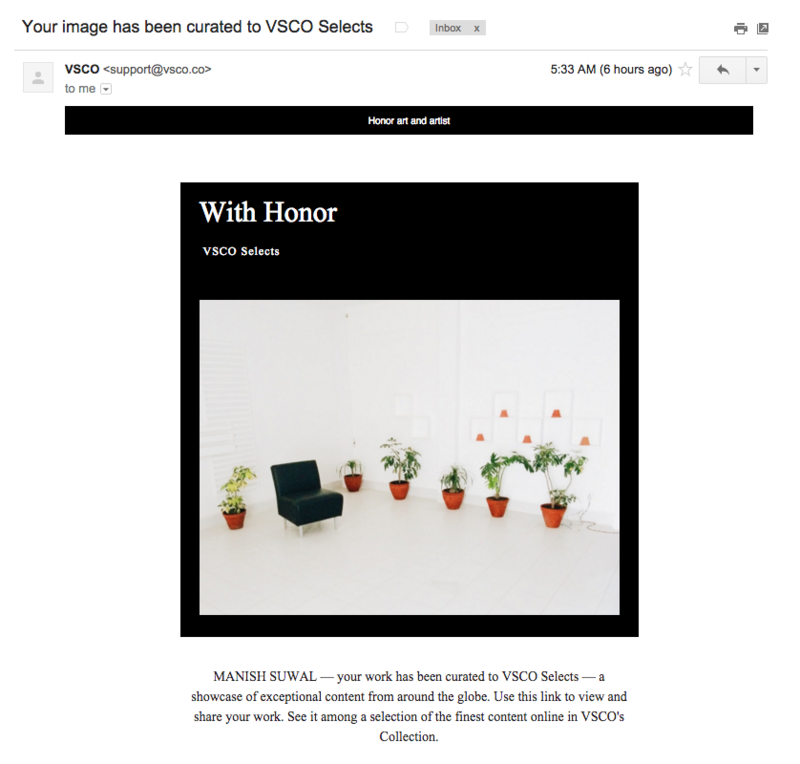 However, the email I receive when my image has been posted on VSCO collection is different. This motivates me to create more images from VSCO. I’m loving it more and more. The more I use it, the more my images are published to a collection and then more I want to post on it. 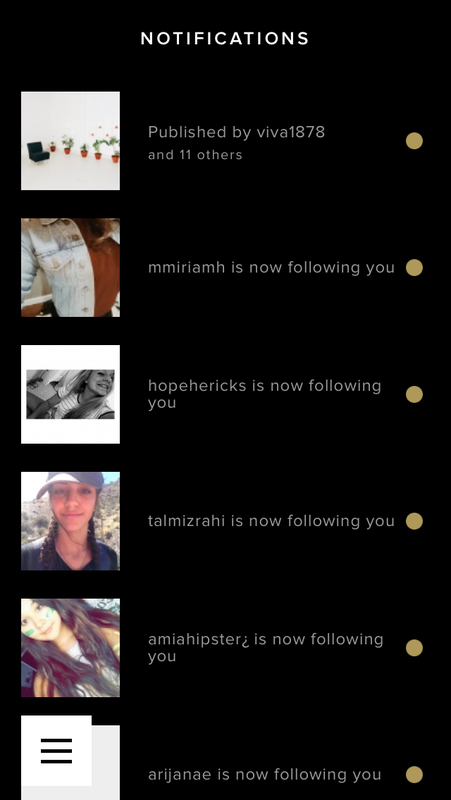 In my next post, I’ll explain how to get your images posted on VSCO and why I love VSCO so much. You can consider subscribing here if you don’t want to miss out those posts.